Consumers are spending an increasing amount of time in digital channels, theoretically enabling marketers to better observe consumer behavior, glean new insights, target more efficiently, and deliver a hyper-relevant consumer experience. But the promise of digital data for analysis, targeting and advertising has far exceeded the reality. Why? Changing consumer habits, the dominance of “walled gardens,” and the opacity of most third-party data sources all contribute to marketers’ difficulties in identifying, understanding and delivering relevant marketing campaigns to target audiences. Not surprisingly, marketers have turned to first-party data in order to drive success. However, even sophisticated brands working with robust first-party data are still looking for ways to efficiently identify and prospect new and known customers through digital channels. There is, however, hope for the modern marketer. Specifically, by re-thinking third-party partnerships, marketers can form more productive alliances that truly supercharge first-party data for consumers’ increasingly digital lives. 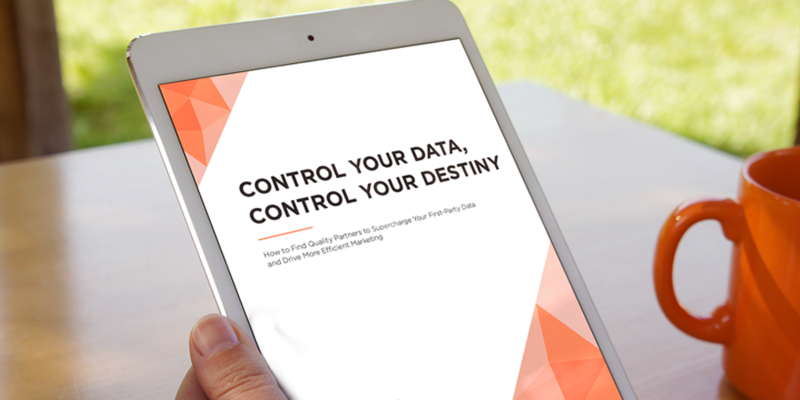 Our new white paper proposes that marketers develop a “new alliance,” whereby first-party data is augmented by trusted data partners in a way that maximizes customer insights while protecting a brand’s strategic data interests. After all, prioritizing, retaining and analyzing the right data will ensure marketers build long-term value and increase insights into their consumers.